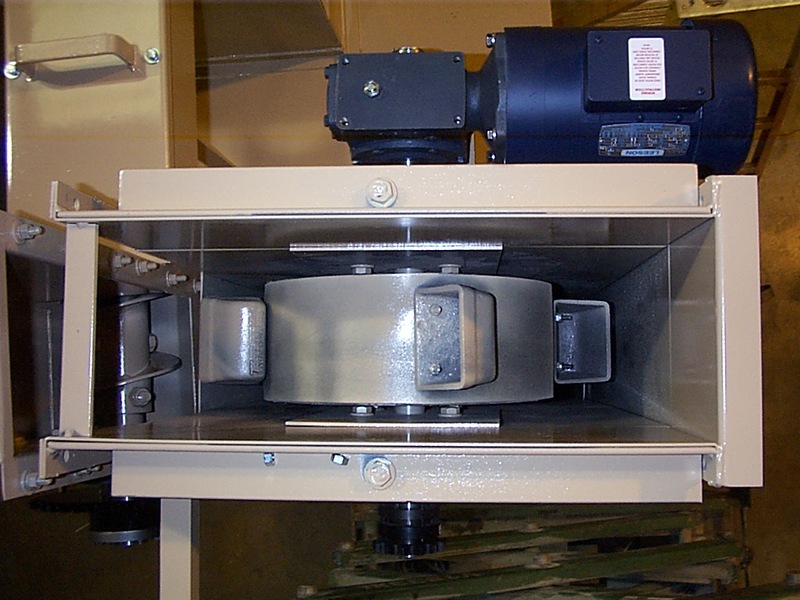 ABS Blast carries Elevator Assemblies for abrasive blast systems that work in conjunction with abrasive media reclaim systems. 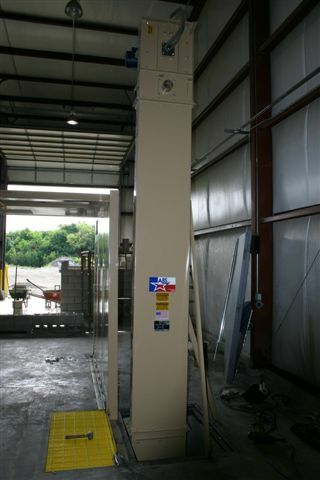 The elevator assembly is constructed of mild steel with angle iron reinforcements. 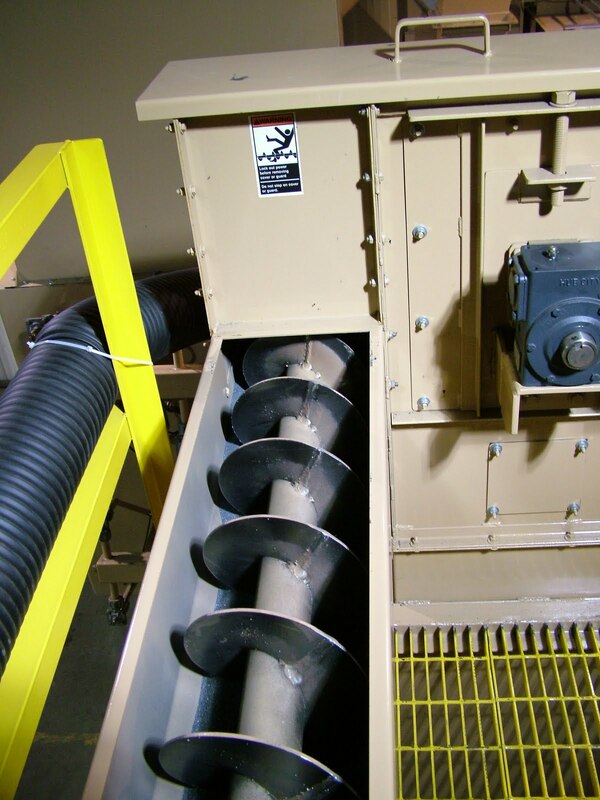 Malleable iron buckets bolted to a heavy-duty (1/2″ thick) belt convey the abrasive material to the air-wash separator. A one-piece cast iron pulley, which has been crowned for tracking and rubber lagged to prevent slippage, are located in the boot and head section of the elevator to drive the belt. The belt is easily adjusted from the head section to provide exact tracking. 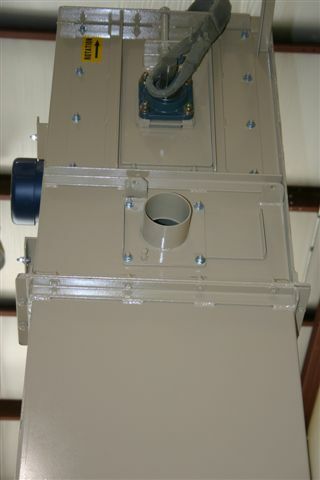 Our elevator assemblies for abrasive blast systems have been designed and engineered for maximum quality and efficiency. ABS Blast will work with you to design and engineer an elevator assembly best suited to your abrasive blast operations specific needs. 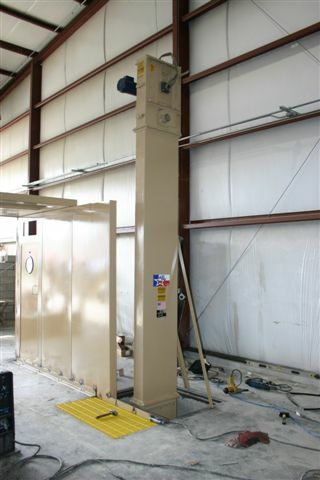 Our experienced team of abrasive blast engineers are available for a Free Estimate on abrasive blast elevator assemblies for your blasting operation. Contact us today.